Eruptions are more of a ‘squeeze’ than a ‘bang’, a new study suggests. New research shows that volcanoes aren’t fed by large reservoirs of magma as previously believed. Instead, all that molten rock builds up into ‘mush reservoirs’ from which it later pops. These reservoirs consist of mostly solid crystals (i.e. rocks), with magma filling the pores and cracks in between them. Our understanding of volcanic processes is currently built upon the magma chamber model. Boiled down, the model posits that each volcano lies atop a large chamber or cave filled with liquid magma. If you’ve seen Lord of the Rings, imagine that scene (spoiler alert) on Mount Doom when the ring gets destroyed in a river of magma; the chambers we’re talking about are pretty much the same, only deeper underground (and usually capped with cold, hard rock). Students in Geology 101 are taught this model, and, for the most part, it works quite elegantly. It helps us make heads and tails of why certain volcanoes erupt while others lie dormant, fits with indirect evidence (such as pre-eruption events observed on the surface and geophysical readings), and is easy to wrap your head around. The concept of magma chambers gained so much appeal in geology for a simple reason: volcanoes need a source of magma to erupt, and they need a lot of it. Furthermore, that magma needs to contain relatively few solid crystals, so that it’s flowy enough. A magma chamber would be able to store enough material and allow any cooler crystals to precipitate, satisfying both of a volcano’s requirements. However, nobody has actually seen one of these chambers directly. Recent magma chemistry analyses have challenged the model. Instead of a huge chamber, such studies point to smaller pools of magma formed in the gaps between solid crystals — all of which points to the ‘mush reservoir’ model. The catch was that such a structure couldn’t explain how magmas with relatively few crystals form and reach volcanoes in order to fuel surface eruptions. The new study, published by researchers at Imperial College London and the University of Bristol, suggests the assumption of a magma chamber needs a re-think. “We now need to look again at how and why eruptions occur from mush reservoirs,” says lead author Matthew Jackson, a Professor at the Department of Earth Sciences and Engineering at Imperial. The team digitally modeled a mush reservoir to see exactly how it would function — and function they do, indeed! Within a mush reservoir scenario, the team reports, magma rises through the nooks and crannies since it’s less dense than the surrounding crystals. It chemically interacts with the crystals on its way up, partially melting them — this is more pronounced in areas of magma build-up, creating areas with relatively few crystals. “A major mystery about volcanoes is that they were thought to be underlain by large chambers of molten rock. 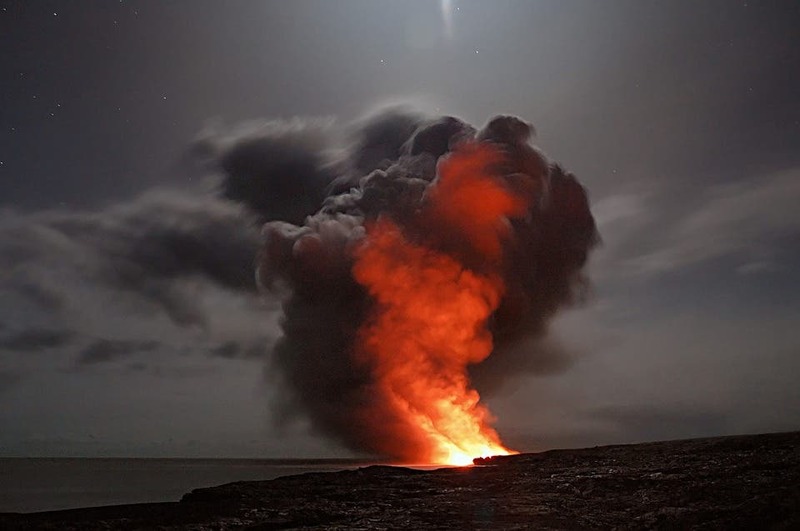 Such magma chambers, however, were very difficult to find,” says co-author Stephen Sparks, a Professor at the University of Bristol’s School of Earth Sciences. Even better, the mush reservoir model also fits with other phenomena observed in volcanic systems: how the chemical composition of magma changes over time, for example, or the occasional inclusion of very old crystals in ‘young’ magmas. All in all, things seem to be going in its favor, and the days of the magma chamber model may be numbered. The paper “Chemical differentiation, cold storage and remobilization of magma in the Earth’s crust” has been published in the journal Nature.